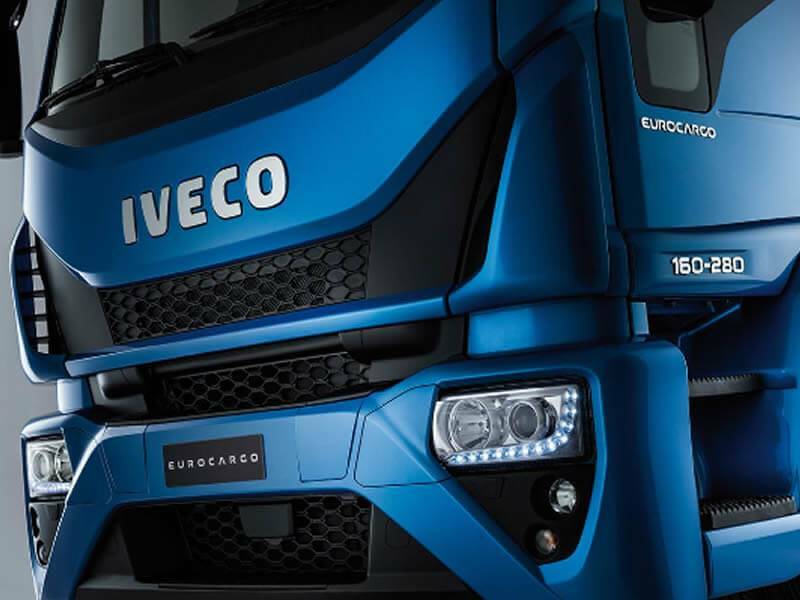 Iveco’s Eurocargo combines sharp European design with the proven performance that makes it one of Europe’s best-selling medium duty trucks, and becoming increasingly more popular in Australia. The Eurocargo product line-up is available with Euro 5 Environmentally Enhanced Vehicle (EEV) or new Euro 6 engines, providing cleaner and more efficient transport in a powerful yet quiet and refined package. 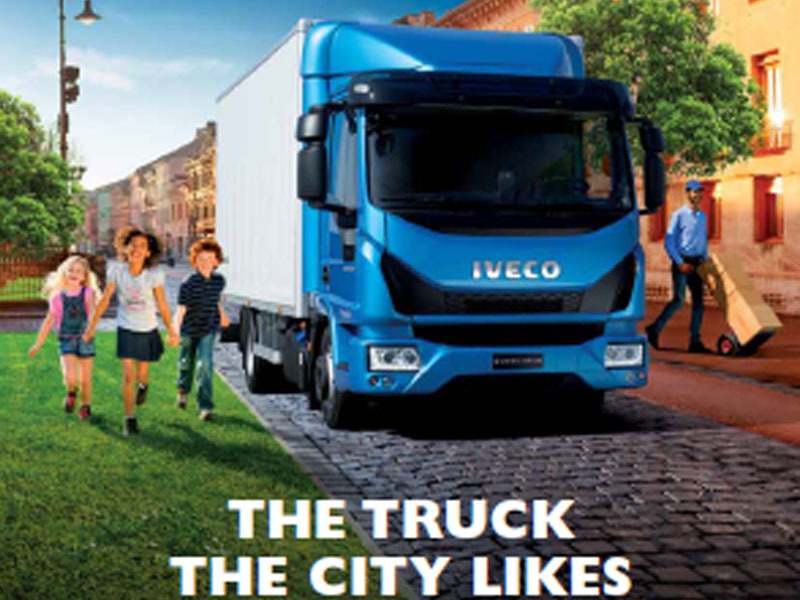 Available in ‘Day’ and ‘Crew Cab’ options with GVMs ranging from 12 to 18 tonnes in 4x2 configuration and 15 tonne for the 4x4 variant, the Eurocargo is well suited to a broad range of inner city, urban, interstate and off-road applications. 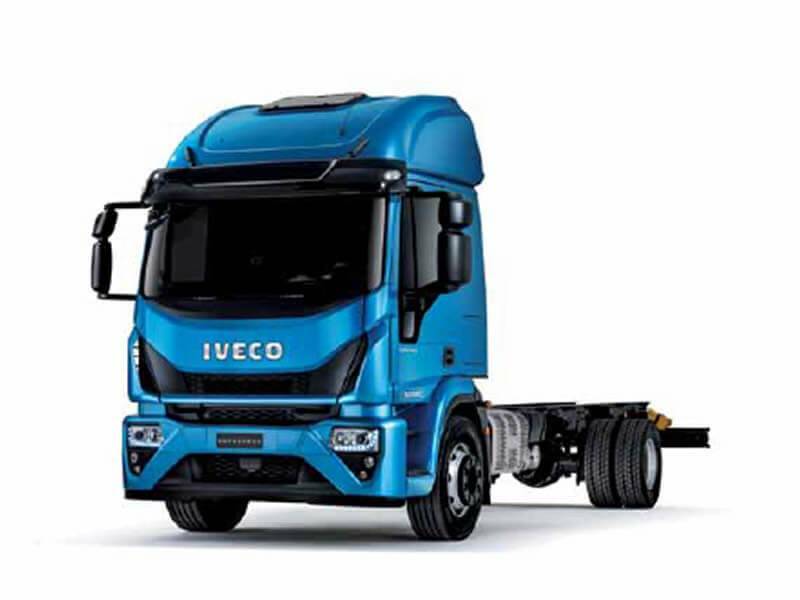 Also on offer are two transmission choices, two engine outputs and various wheelbase options across the range, providing the flexibility to specify the Eurocargo to closely fit the task at hand. The Eurocargo chassis benefits from being completely flat on top and free from obstructions, making it suitable to a broad range of body fitments from 7 to 9.5 metres. 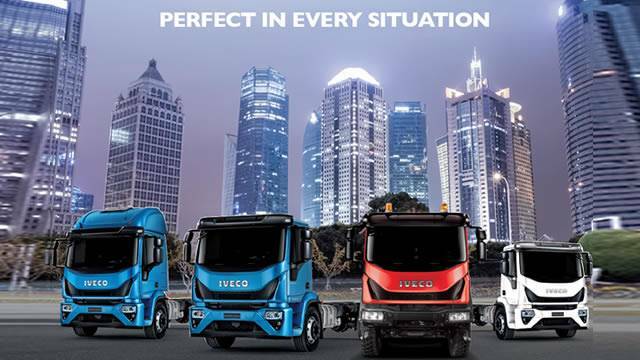 With its industry-leading turning circle, superior driver comfort and outstanding fuel efficiency, the Eurocargo EEV is the perfect medium duty truck for urban delivery and more than versatile for a variety of other applications including emergency service work and public utility duties. The Eurocargo EEV has an excellent reputation in the industry for its powerful yet frugal engines. 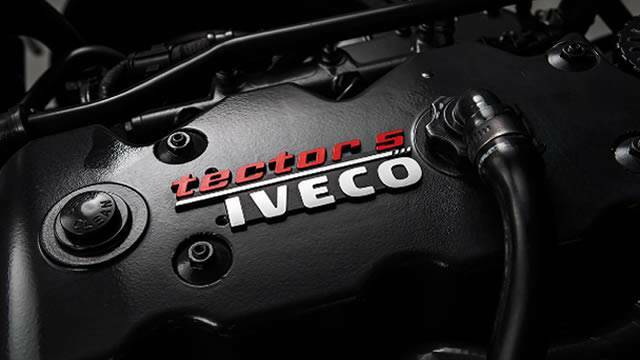 At the heart of the range is the renowned 6-cylinder, 5.9 litre ‘Tector 6’ SCR engine available in two power ratings. Despite its modest capacity, the turbocharged and intercooled powerplant is extremely powerful and advanced, with four valves per cylinder and high pressure common rail electronic fuel injection. This combination develops 250 hp (185 kW) and 627 lb/ft (850 Nm) in ML 120 and ML140 models and 280 hp (206 kW) and 701 lb/ft (950 Nm) in ML160 and ML150 4x4 models.Other benefits of the Tector 6 engine range are generous oil change intervals of up to 80,000 kilometres (may vary depending on the application), for reduced downtime and total cost of ownership. 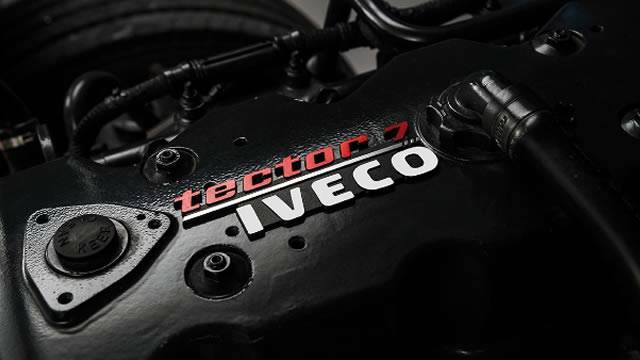 Powering the Euro 6 range is Iveco’s new 6-cylinder, 6.7 litre ‘Tector 7’ engine. This diesel powerplant features high pressure, common rail, electronic injection, turbocharging and 24 valves. Available in two power ratings, the Tector 7 develops 250 hp (185 kW) and 627 lb/ft (850 Nm) in ML120 models, and 280 hp (206 kW) and 738 lb/ft (1,000 Nm) in ML 160 and ML180 models. Efficiency in the new engines is improved through the use of new low-viscosity engine oil which reduces friction. Also introduced is an electronically-controlled two-speed electromagnetic fan clutch which is engaged or disengaged according to cooling requirements. 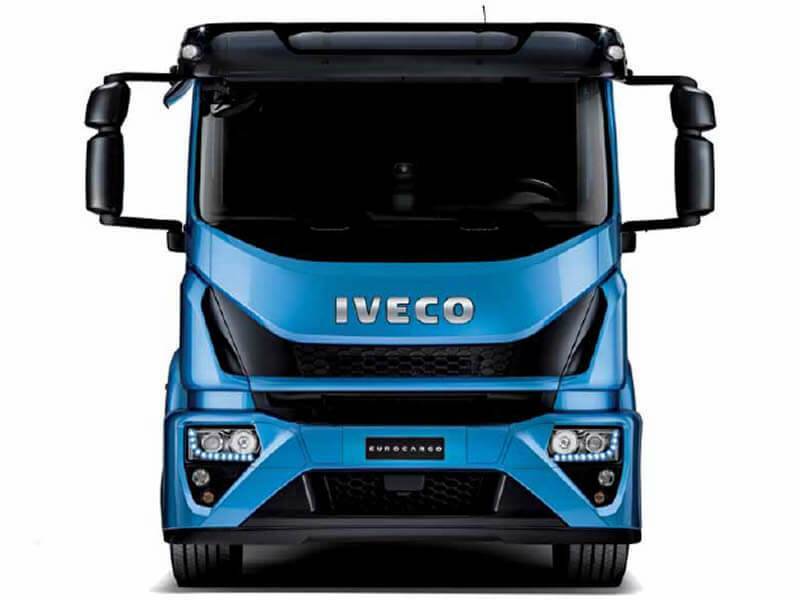 Emission control allowing the engines to achieve stringent Euro6 standard (years before mandated in Australia) is achieved with Iveco’s innovative ‘HI-SCR’ system – it is a single after-treatment system featuring passive DPF (Diesel Particulate Filter), which requires no intervention by the driver, it all happens automatically. Other benefits of the Tector 7 engine range are oil change intervals of up to 80,000 kilometres (may vary depending on the application), for reduced downtime and total cost of ownership. Eurocargo EEV has an excellent reputation in the industry for its powerful yet frugal engines. At the heart of the range is the renowned 6-cylinder, 5.9 litre ‘Tector 6’ engine available in two power ratings.Despite its modest capacity, the turbocharged and intercooled powerplant is extremely powerful and advanced, with four valves per cylinder and high pressure common rail electronic fuel injection. This combination develops 250 hp and 850 Nm in ML120 and Dual Cab ML140 models and 280 hp and 950 Nm in ML160 and ML150 4x4 models. Other benefits of the Tector 6 engine range are generous oil change intervals of up to 80,000 kilometres (may vary depending on the application), for reduced downtime and total cost of ownership. The engines can be paired to two transmissions in the 4x2 range, while the 9-speed conventional manual units are standard across the range, the availability of full torque converter automatics, provides the operator with choices to best suit their application and driving preference. The ZF 6-speed (standard in ML150 4x4) and ZF 9-speed (standard in ML120, Dual Cab ML140 and ML160) are synchromesh gearboxes that are durable and easy-to-use even for novice drivers, delivering precise gear changes and providing complete control. The second choice of transmission available in the Eurocargo EEV range is the Allison S3000 full automatic which can be specified across all models except the ML150 4x4. The automatic is well suited for use in heavy traffic and on congested roads – eliminating the need for the driver to change gears, this allows them to concentrate on the road and can provide a more relaxed driving environment. Not that long ago, power came at the expense of efficiency. Previous Eurocargo models have enjoyed a reputation for striking an excellent balance between output and fuel use and the latest trucks take this combination to new levels. 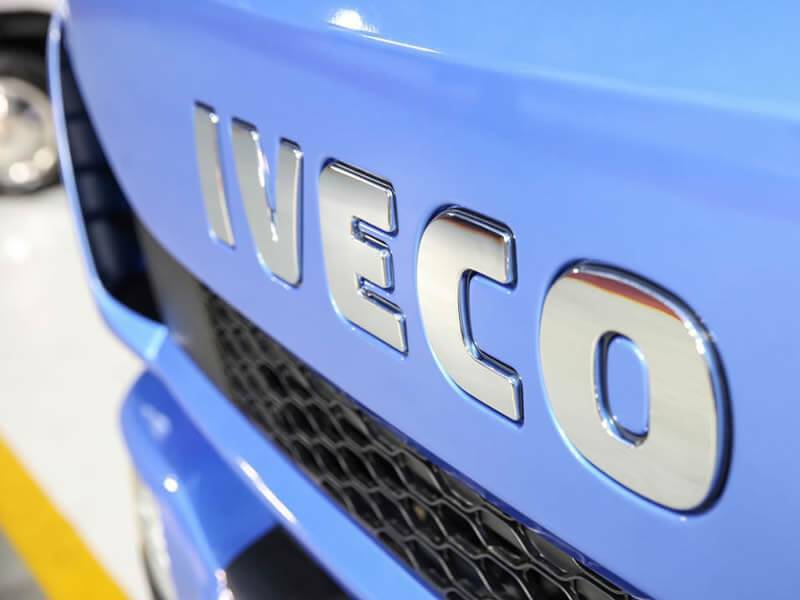 Powering the range is Iveco’s new 6-cylinder, 6.7 litre ‘Tector 7’ engine. 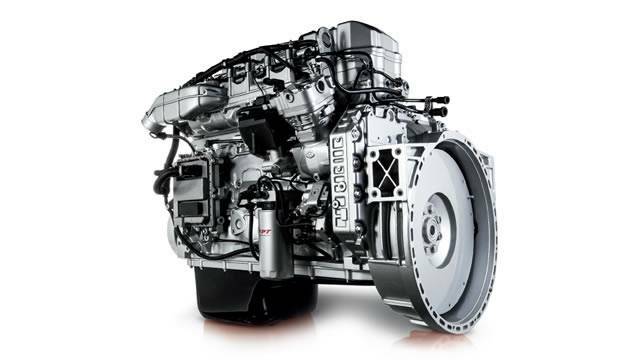 This diesel powerplant features high pressure, common rail, electronic injection, turbocharging and 24 valves. Available in two power ratings, the Tector 7 develops 250 hp (850 Nm) in ML120 models, and 280 hp (1,000 Nm) in ML160 and ML180 models. Efficiency in the new engines is heightened through the use of new low-viscosity engine oil which reduces friction. Also introduced is an electronically-controlled two-speed electromagnetic fan clutch which is engaged or disengaged according to cooling requirements. 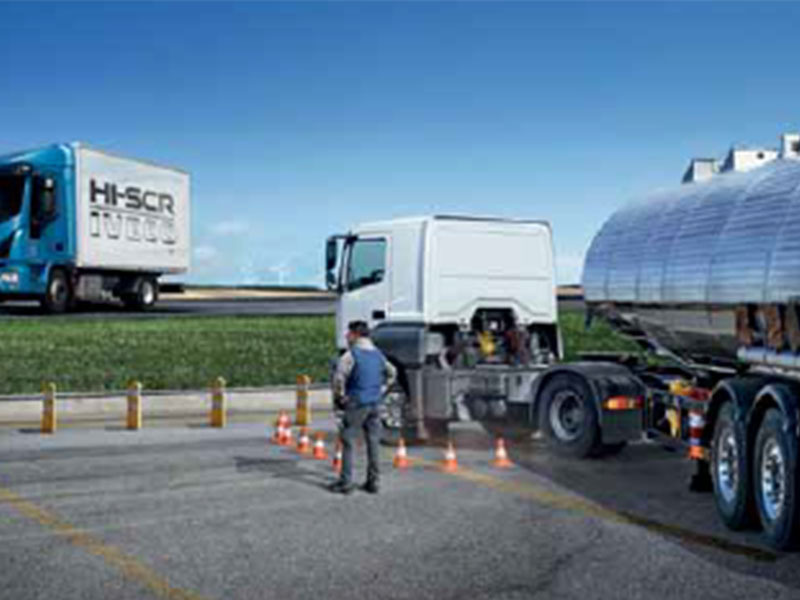 Emission control allowing the engines to achieve stringent Euro 6 standard (years before mandated in Australia) is achieved with Iveco’s innovative ‘HI-SCR’ system – it is a single after-treatment system featuring passive DPF (Diesel Particulate Filter), which requires no intervention by the driver, it all happens automatically. Other benefits of the Tector 7 engine range are oil change intervals of up to 80,000 kilometres (may vary depending on the application), for reduced downtime and total cost of ownership. Converting the Tector 7’s power to the road are high quality transmission offerings from ZF and Allison. Depending on the application or driver choice, either a manual or fully automatic can be specified. Operators wanting to self-shift can select the ZF 9-speed overdrive transmission with dash-mounted gear shift or alternatively, the Allison S3000, 5-speed full automatic is also available, for a more relaxed drive particularly in congested metropolitan environments. Eurocargo EEV models all benefit from the superior stopping power of front and rear disc brakes with ABS. Other safety features include Anti-Slip Regulator (ASR) and Electronic Stability Program (ESP) – the combination provides a safe and comfortable working environment no matter what the traffic, road or weather conditions. 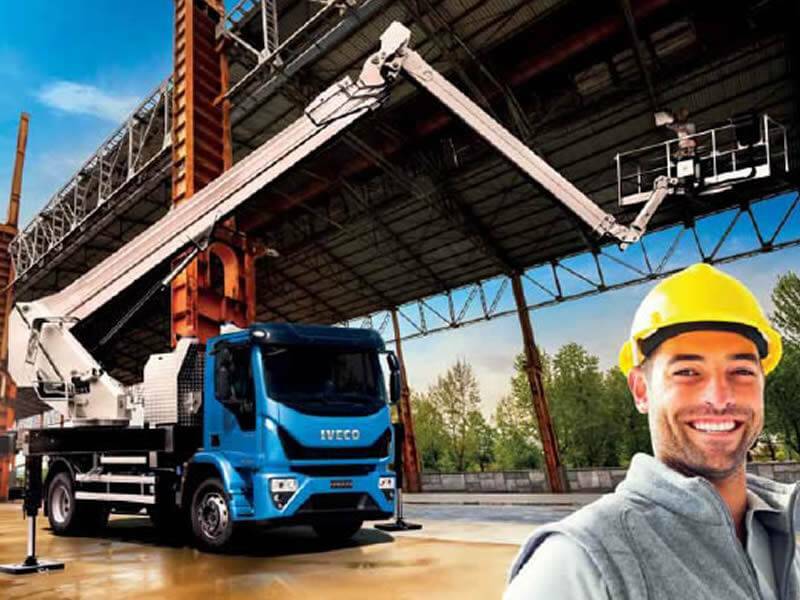 E6 Eurocargo models further lift the safety levels with an impressive list of active and passive safety features, designed to benefit not only the vehicle occupants but other road users. Starting with the braking system, all Eurocargo E6 variants feature the superior stopping power of front and rear ventilated disc brakes with ABS. All E6 models also feature Anti-Slip Regulator (ASR), Electronic Stability Program (ESP) and Advanced Emergency Braking System (AEBS)*. AEBS helps to avoid accidents caused by driver distraction. 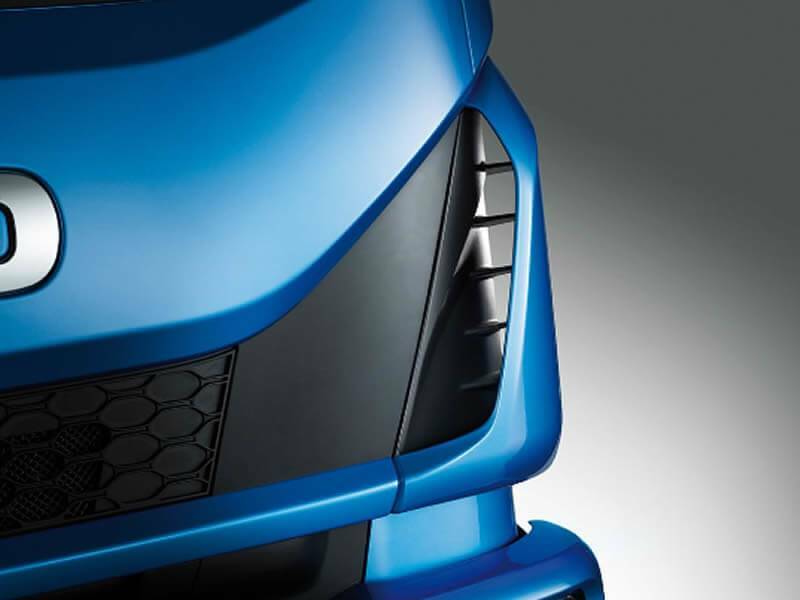 Using a bumper-mounted radar, the system measures the distance to the obstacle in front and calculates the time remaining to take action before a potential collision; an audible double warning is triggered before the brakes are applied. In the event of a moving obstacle, the system intervenes automatically reducing speed to avoid impact. If the obstacle is stationary, the system can predict and moderate the impact by further reducing speed. 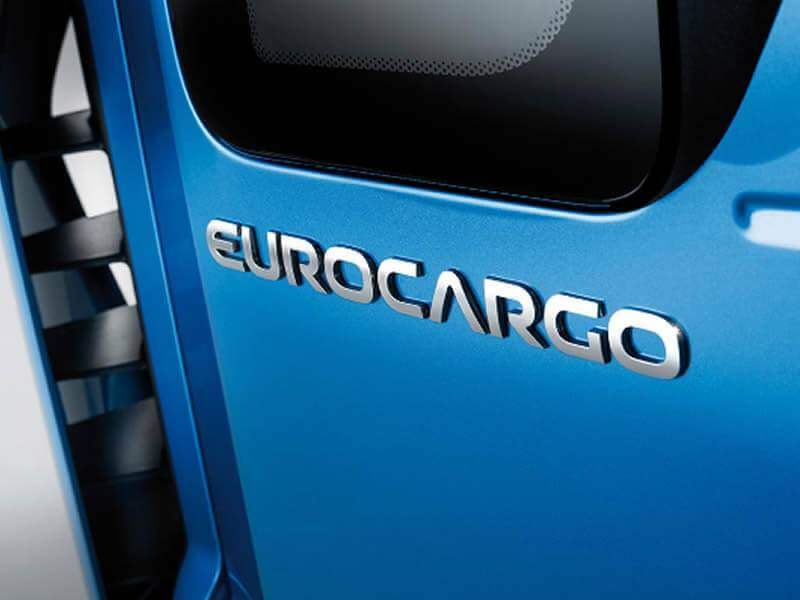 The new Eurocargo E6 also boasts optional Adaptive Cruise Control (ACC). Using the AEBS radar, ACC adjusts speed by maintaining a safe distance to the vehicle in front. The feature has a range of up to 120 metres and automatically intervenes in various stages, firstly by reducing torque, then by applying the engine brake and finally, the service brake. 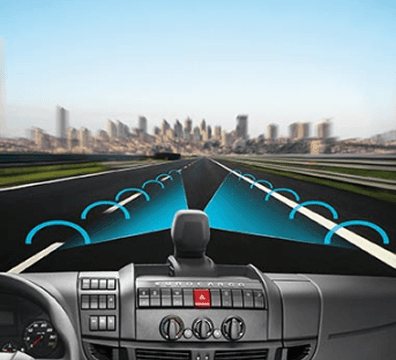 Other new driver assistance technology includes an optional Lane Departure Warning System (LDWS) that warns the driver if the vehicle is moving from its lane. Thanks to a windscreen-mounted camera, the system can recognise the road markings and will sound an alarm if the vehicle changes lane without the driver signalling. 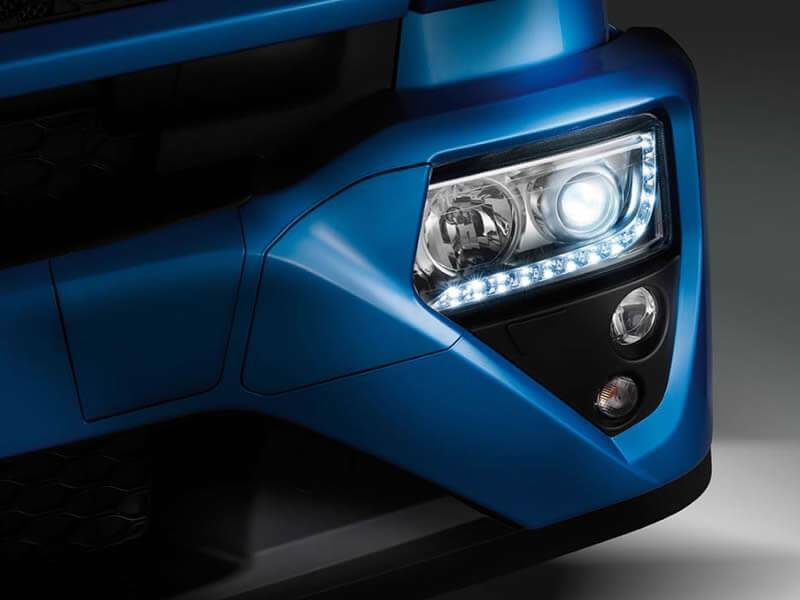 Rounding out the safety appointments is a Hill Holder function, Driver’s SRS airbag and Daytime Running Lamps (DRLs), to provide increased visibility for other road users. Steering wheel-mounted controls for audio and Bluetooth also allow the driver to maintain both hands on the steering wheel for constant control. Extended hours behind the wheel on busy inner city streets or rough secondary roads are not an issue in the Eurocargo, with cabin features and ergonomics that are second-to-none. Cabin entry and egress is simple courtesy of generous steps and 90°-opening front doors. Once inside the driver is treated to a fully adjustable ISRI seat and redesigned interior with all controls being placed intuitively within arm’s reach. A linear dashboard design and the compact dimensions of the engine tunnel allow the driver to easily move around the cabin and leave the vehicle from either side of the cabin in preparation for loading and unloading. Realising that in today’s working environment a driver can also be responsible for considerable ‘paperwork’, the Eurocargo cabin provides a mobile office space – the centre console has a 20 litre space (available with single passenger seat in a day cab) that can comfortably accommodate a laptop, tablet and the like. It also features a reading light and is equipped with side storage pockets and two USB connectors for charging electronic devices. A practical workspace can also be created by opening out the upper area of the console. Other clever features include a driver’s side console housing two bottle holders, a 12V power socket and an option for an in cab compressed air outlet. Additionally, there are more storage spaces throughout the cabin and a hanging rail with hooks on the rear wall of the cabin for items such as personal protection equipment and other apparel. * AEBS is no substitute for driving with care.